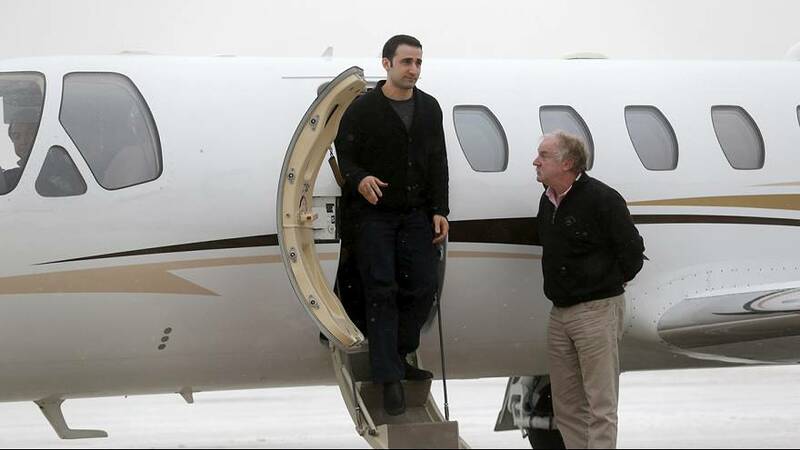 Amir Hekmati, one of five American citizens recently released from prison in Iran has returned home to Flint, Michigan. The ex-marine left Tehran on Sunday, January 17, following a prisoner exchange deal between the two countries. The Iranian-American was detained in August 2011. Convicted of spying, he was originally sentenced to death. This was later commuted to ten years in prison. Two other Iranian-Americans were aboard the same flight from Tehran. The Washington Post’s Tehran bureau chief Jason Rezaian and pastor Saeed Abedini left Iran on the same plane as Hekmati. Abedini has also arrived back in the US. They passed through Switzerland on the way to a US military facility in Germany, where check ups were administered. Rezaian and Abedini were let go alongside fellow dual national Nosratollah Khosravi-Roodsari, and shortly before American student Matthew Trevithick. Their release coincided with the implementation of a landmark nuclear deal between Iran and six world powers.